“It was delightful to have Laura Kheswa from the Ladysmith Dept of education head office together with her intern Lindokuhle to visit yesterday. Ayanda had been communicating with them. This years book launch is amazing and for the very first-time ever it is hosted in the Zululand region under Ulundi local municipality, from the Zululand district. There more than 250 people expected to attend the launch excluding club members and mentors. This year’s launch is a real manifestation of what we at Dancing Pencils proclaim to have African talents unearthed, preserved, nurtured and utilized. Dancing Pencils Writing Clubs are expected to make their way to the Ulundi Old Legislature. The clubs come from various parts of our beautiful province of KwaZulu Natal on the 7th of September 2018. Attending the magnificent annual life-changing event. Where writers are made authors and transformed through the realization of their hand written texts produced as books and club anthologies. Dancing Pencils Literacy Development Project monthly newsletters touches on some important issues as far as the launch is concerned and highlights that texts submission for 2018 deadline was 30th of June 2018. Failed to submit on time see you next year. Enjoy the newsletter bellow. This June newsletter is a reminder for you that June 30 was the deadline for publishing submissions by clubs for this year. Please remember that your printing and book origination payment must come with the submission. A lot has been happening. I was on SABC 2, Morning Live talking about publishing and helping to uplift literacy levels with the books our clubs write. 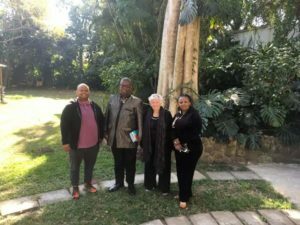 And we have had wonderful meetings with the Mayor of Ulundi municipality, their chief librarian and senior district executive manager. I am happy to say that they endorse the training methods that Dancing Pencils use and will in fact spearhead dancing pencils. So I am happy to tell you that the dancing Pencils book launch will take place on Friday 7th September in Ulundi under the umbrella of the municipality. I am truly hoping that they will be able to secure the Old Legislature building for our launch. This is a prestigious venue and looks rather like Parliament with tiered seating and microphones at each seat. The acoustics are excellent and there is a great circular space for clubs to present their new anthologies and any small skit or dance they like to prepare. Clubs need not limit the number of members who attend. I am happy to have heard from Mrs Sithembile Magubane of Drakensview Primary that they are ready with this year’s text. And we thank Laura Kheswa of Ladysmith department of education for submitting a number of texts for publication. 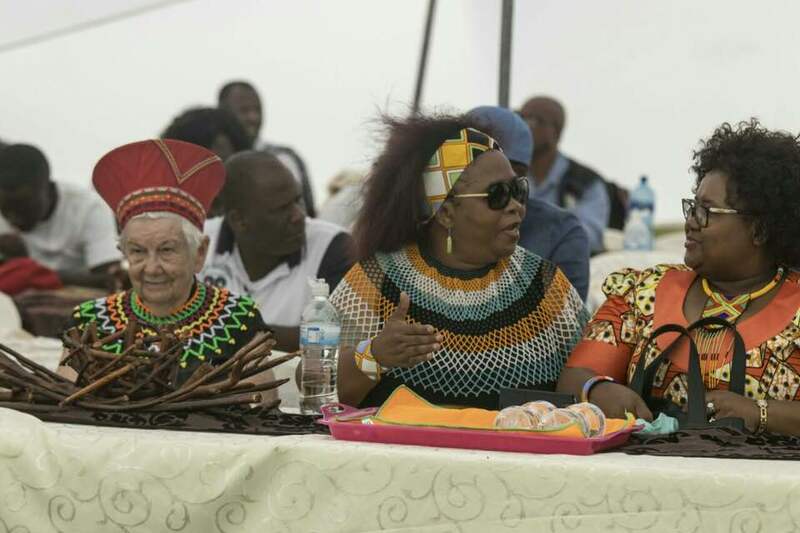 Felicity Keats (Dancing Pencils) ULundi Local Municipality Deputy Mayor and Queen Nompumelelo Zulu, the Zulu Queen (principali of Queen kaMsweli primary) watching Zulu dancers in Ulundi Stadium from the VIP’s marquee on the 28th of April 2018. Ulundi KZN. 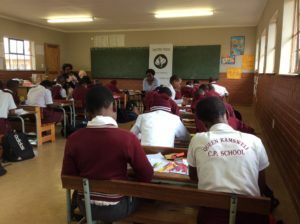 And we may, with their permission, launch a 150 page book that the grade 6 s at the Queen KaMsweli Primary school, using right brain methods, wrote as a present to give to King Zwelithini Goodwill Zulu (iSilo Samabandla) on the occasion of his 70th birthday in July this year. The learners of Queen kaMsweli primary school in Nongoma during their right brained training on 18 May 2018. So please get your pens dancing and submit even a small anthology and please fund-raise for your publishing fee. It is a great occasion for learners and we do thank mentors for their dedicated help. 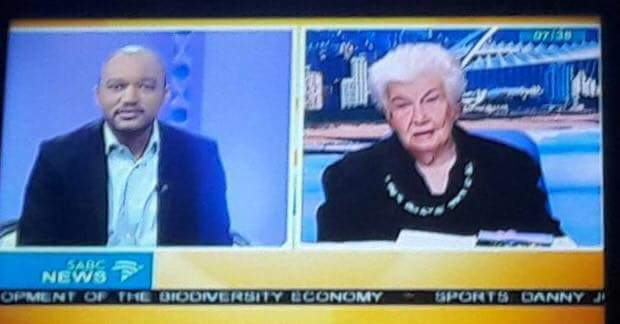 We also have a great relationship with SABC media coverage and maybe we can get TV there. Felicity Keats Morrison, Founder & Director, Dancing Pencils Literacy Development Project.